Early bloomer. 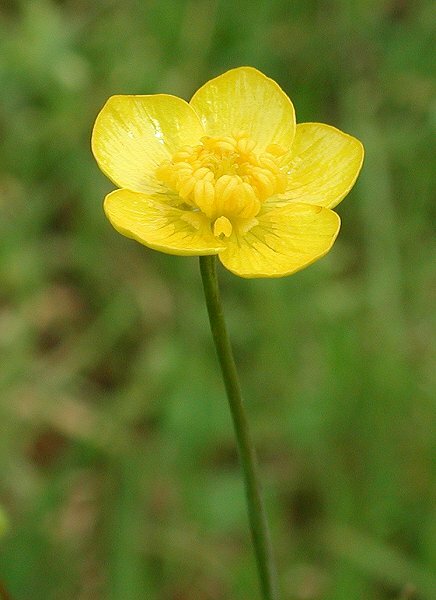 5 or 6 small, shiny yellow petals, slender, erect stems. The Maidu parched seeds for meal and used flowers as dye. Notes: Ranunculaceae family name comes form Latin meaning little frog, as these plants like moist, soggy areas, close to water. Some species are aquatic. In the sun the shiny petals seem to be covered in melted butter. Dye is made from the juice of the flowers. The seeds are edible when cooked. The Maidu parched them for meal used in breads. Raw they can be poisonous but are eaten by some birds. Leaves, stems and roots can be cooked and eaten; however the sap of all species is toxic. The young flowers can be preserved in vinegar as small pickles.